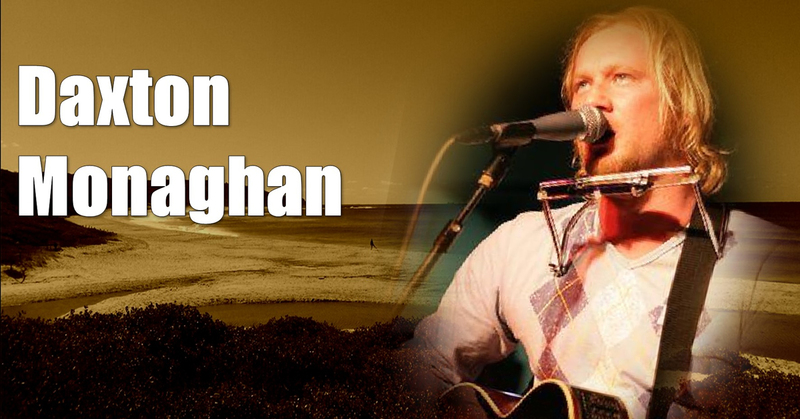 Daxton Monaghan lives to entertain” His familiarity with rock/blues has shown punters there is more to him than just a song. Daxton stage performance has character and bellows confidence. As a cover show artist you will be blown away by his guitar playing and vocals. Daxton has written songs with country Icon Bill Chambers and has also played alongside with Andy Kent from U AM I in the Cult tribute band as lead singer; and marked a place in the 2009 ISC awards with an admirable mention. Daxton’s state of the art PA system is the amazing Bose L1, 2 speakers, its pitch and tone projects throughout venues and outdoor hotels with precise sound capturing the audience ear. Daxton is available for three to four hour gigs. Daxton has played country blues music festivals and night spots from 1990s and has over four albums available on iTunes. Daxton’s influences can be heard in his music such as Captain Beef Heart, Jimi Hendrix, tom waits etc.. Daxton plays harmonica stomp box & slide guitar he has been playing live shows for fifteen years, and has a appreciation for Americana music.